Call me a total cheeseball, but Valentine's Day happens to be one of my favorite holidays. I know it's commercialized, but I love celebrating love. 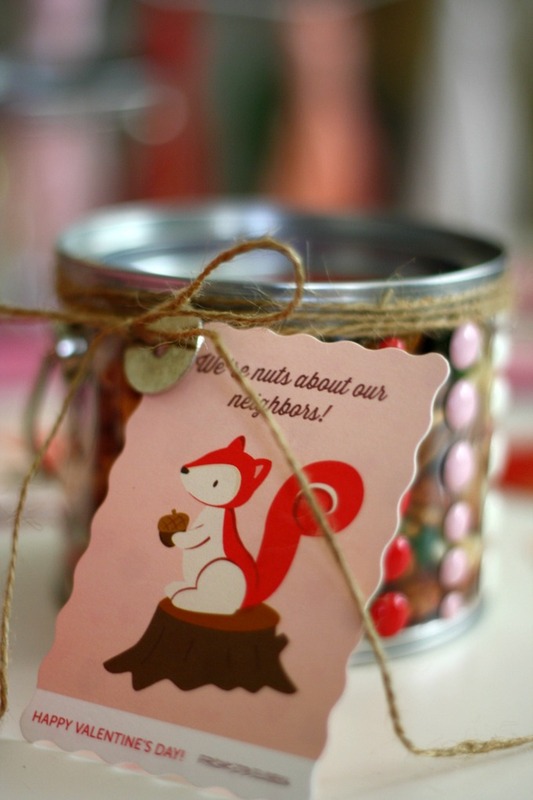 Even though you're supposed to show your love year-round and even though it can be labeled as a couples-only holiday, I firmly believe you should just embrace it for what it is: something fun! Be cheesy, be cutesy, be friendly...and be those things to everyone in your life. Whether it's your sibling, your pet, your co-workers, or your significant other. 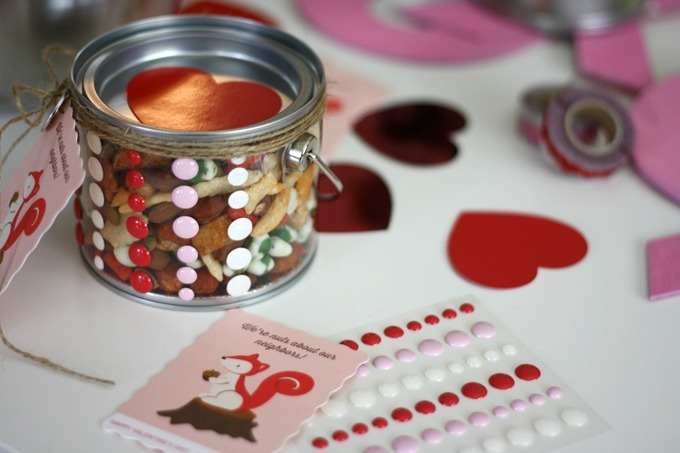 A good way to have a little fun this Valentine's Day is to mix up a huge batch of this Nutty Valentine's Day Snack Mix. 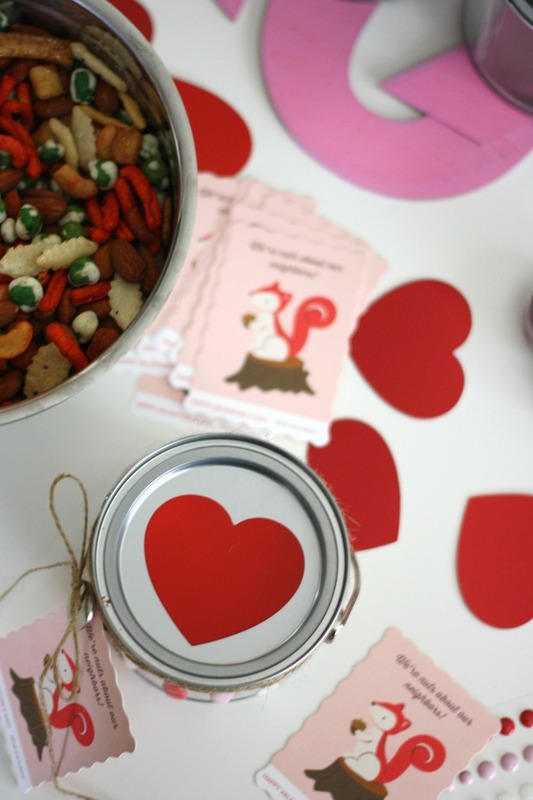 Pile it into small, food safe containers, add a cute note (or a Valentine like these from Minted) and deliver a little happiness to those you love. 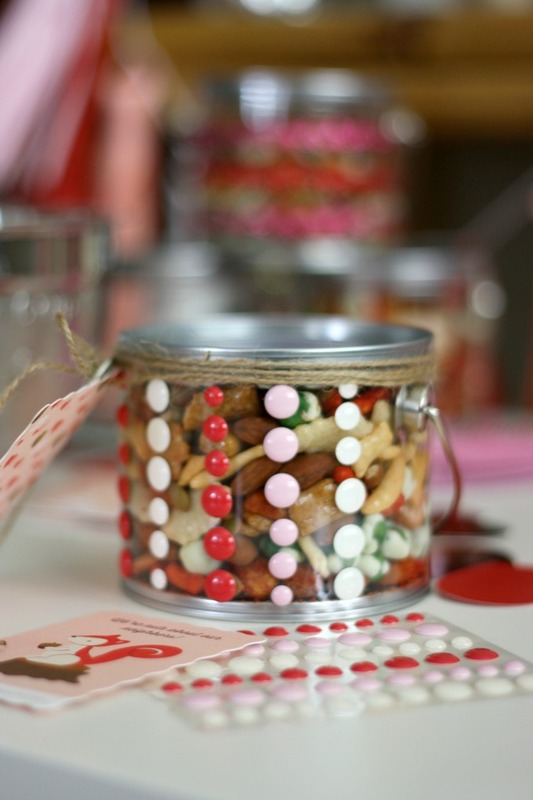 Get the recipe for the snack mix here (great for the big game, too! ).